Recognize a child's early school experience. Cheerful awards feature messages of accomplishment and celebration. 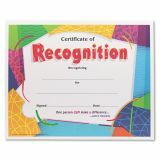 TREND Certificate of Recognition Awards, 8-1/2 x 11, 30/Pack - Unique awards feature inspiring quotations and contemporary artwork. Easy to customize for any occasion. 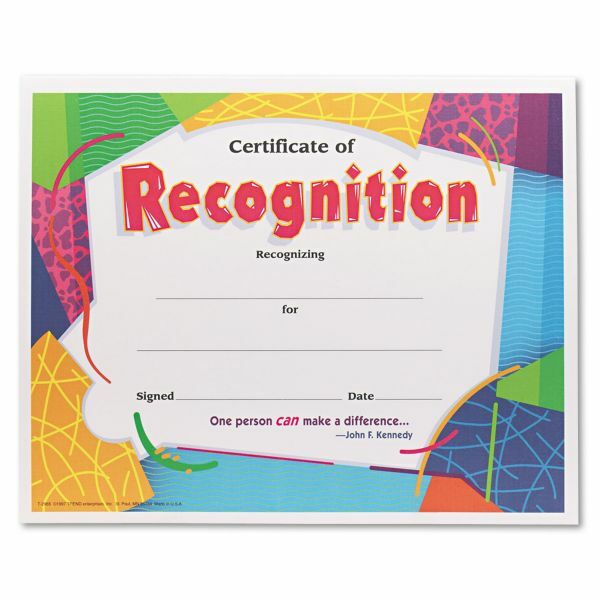 Includes 30 certificates of recognition with the John F. Kennedy quote, "One person can make a difference." Ready to frame. Ideal for third-grade to eighth-grade (ages 8 to 14).